Farmer Owned - care in every step from cow to you. 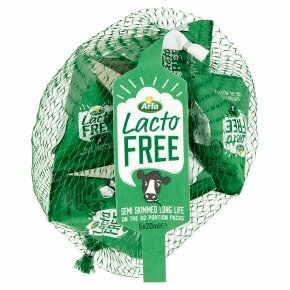 Lactose free* UHT homogenised standardised semi skimmed filtered milk drink *Less than 0.03% lactose. We use rigorous scientific testing to ensure that Arla LactoFree milk drink contains no lactose, using accurate accredited tests, enabling us to detect lactose at a trace level of 0.03%. At this level our tests show that there is no lactose present in Arla LactoFree.